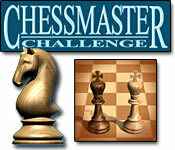 Free Chessmaster Challenge download for PC - Full Demo or Buy it now at PopGamers.com! Learn & improve your chess game. 6 choices of chess board sets. Over 25 audio tutorials help you improve.